Keith Sewell was born in London, England in 1944. He first encountered reformational thinking through the work of the International Association for Reformed Faith and Action (IARFA). He migrated to Australia in 1969. He subsequently studied at the University of Canterbury (BA, 1974), the Institute for Christian Studies, Victoria University of Wellington (MA, 1978), and Deakin University (Ph.D., 1991). He taught at Presbyterian Ladies' College, Melbourne, from 1990 to 1998, when he moved to Sioux Center, Iowa to become Professor of History at Dordt College in Sioux Center. In addition to articles and reviews he has publishedHerbert Butterfield and the Interpretation of History (Basingstoke: Palgrave Macmillan, 2005). At Dordt College he teaches British, European and Asian history, and also the history of Calvinism. 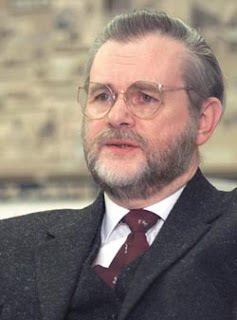 His specialties are the history of modern English historiography, and British imperial and foreign policy 1880-1914 with England in the seventeenth century as a strong second level interest. He is currently preparing a work on evangelicalism. Keith is married to Alida and they have two sons. This paper was first given in an abridged form to a conference on 'The idea of an Australian Christian University' held at Macquarrie University on 25 March 1995, under the auspices of the Centre for Australian Christianity. It is made available here with only minimal change. An address given at the Reformed University Students' Conference held at Reformed Church of Box Hill, Australia, 18 July 1992. Some reflections on the nineteenth-century revival of calvinism in the Netherlands and its relevance for contemporary Australia. The opening address to the second Reformed University Students' Conference held at the Reformed Church of Doveton, Victoria Australia. 9 July 1993. First given as a paper to the First Reformed Post-Graduate Students' Conference held at Knox Presbyterian Church, Wantirna, Victoria, Australia, on 20 February 1993. Keith's Pro Rege articles can be found here. The rise of evangelicalism: The age of Edwards, Whitefield, and the Wesleys Pro Rege. 33. June 2005. 35-37. Theodore Beza -- the man next to John Calvin: A review essay. Pro Rege. 33. March 2005. 15-19. Fortunes of history: Historical inquiry from Herder to Huizinga. Pro Rege. 32. March 2004. 43-44. Give thanks for H. Evan Runner. Pro Rege. 32. September 2003. 8-9. Calvin and the stars, Kuyper and the fossils: Some historiographical reflections. Pro Rege. 32. September 2003. 10-22. Once again, after a long pause, the history of Calvinism. Pro Rege. 31. June 2003. 32-34. Some thoughts on "the Reformation" as a contemporary icon. Pro Rege. 31. September 2002. 14-25. Problems in the "Christian" origins of modern science. Pro Rege. 30. June 2002. 15-17. Ideas have a history: Perpsectives on the western search for truth. Pro Rege. 30. March 2002. 26-27. "History wars" - "Holy wars" or, history in contention. Pro Rege. 28. June 2000. 2-10. The next reformation: Why evangelicals must embrace postmodernity. Pro Rege. 34. June 2006. 32-35. The drama of Scripture: Finding our place in the biblical story. Pro Rege. 34. June 2006. 32..
Colossians remixed: Subverting the empire. Pro Rege. 34. June 2006. 35-36..
Evangelicals in the public square: Four formative voices on political thought and action. Pro Rege. 35. June 2007. 40-41. Imperialism and hegemony: Some historical reflections. Pro Rege. 36. March 2008. 28-40. In all things, hear the word: A response to Laurence Sibley. Pro Rege. 34. March 2006. 28. The British delegation to the Synod of Dort. Pro Rege. 35. March 2007. 43-44. The dominance of evangelicalism: The age of Spurgeon and Moody. Pro Rege. 35. March 2007. 40-41. 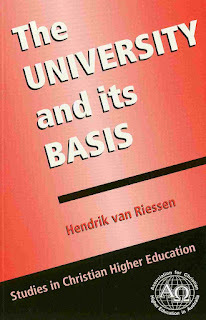 First Publication of this Second and Revised Edition,Melbourne, The Research Press, 1994. Papers on Christian Higher Education, number 1. 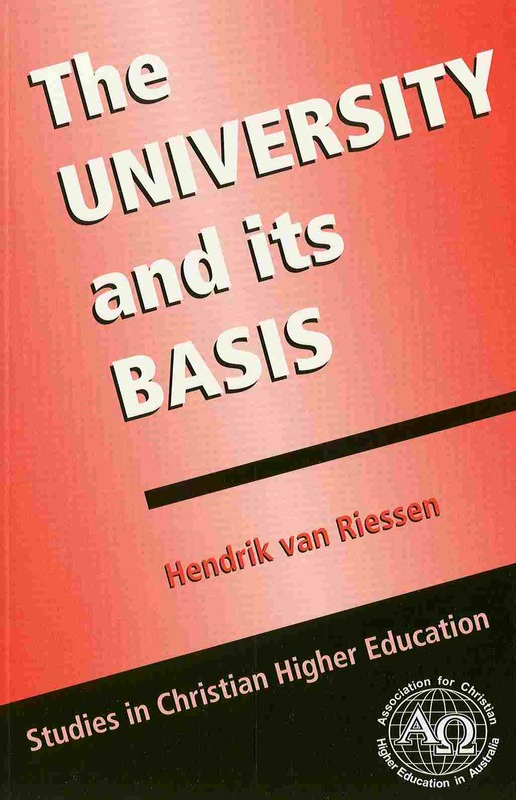 First Edition, Amsterdam, International Association for Reformed Faith and Action, 1965. ACHEA has been absorbed by CITE. This paper was originally published in the International Reformed Bulletin 8 (1965): 23-32. The bulletin was the official organ of the International Association for Reformed Faith and Action. This edition has been fully revised. Dr. Jan D. Dengerink has occupied Chairs of Christian (Reformed) Philosophy at the Universities of Utrecht and Groningen, and is a past Secretary of the Board of the Free University, Amsterdam. Herbert Butterfield (1900-79) rose to become Regius Professor of Modern History in the University of Cambridge. This work is a study of Butterfield's reflections on historical method and understanding. The discussion draws on the entire published Butterfield oeuvre, and unpublished material in the Department of Manuscripts, Cambridge University Library, Cambridge, England. Consideration is given to concepts such as "imaginative sympathy," "abridgments" and "moral judgments." Extensive attention is given to Butterfields critiques of Acton and Namier. The central focus is the resolution of the conflict between Herbert Butterfield's advocacy of a supposedly non-interpretative "technical history" and his own commitment to a Christian interpretation of history. The idea of "technical history" was present in The Whig Interpretation of History (1931) where Butterfield says of the historian that "any history that he writes ought to be as capable of varied philosophical interpretation as life itself seems to be." However, from 1942 onwards Butterfield gave eloquent expression to his belief in "Providence." He also called for a historiography of greater "expository" depth (1944). The question inevitably emerged concerning how these were to be related. Also, in The Origins of Modern Science, 1300-1800 (1949), Butterfield's use of his "thinking cap" metaphor implicitly undermined his own concept of a non-interpretative "technical history." Butterfield came to speak of "three ways" of viewing history. Firstly, a "biographical" way, corresponding to "technical history." Secondly, a "historical way" of expository historiography. Thirdly, an explicitly providential way, encompassing the first two. Although these three "ways" might be distinguished, they could not be separated in practice. Butterfield eventually conceded that "technical history" was not non-interpretative. The "Conclusions" offer a resolution by reconsidering the importance of interpretation in the construction of historiographical narratives.